The IGF family of growth factors is believed to play a role in the development and progression of breast cancer. We recently identified an adverse prognostic effect of insulin in breast cancer; we now report prognostic effects of circulating IGFBP's 1 and 3. 512 women with T1-3, N0-1, M0 breast cancer provided fasting blood which was analysed for IGFBP's 1 and 3. Information on body size, diet and traditional prognostic factors and treatment was obtained; women were followed for recurrence and death. IGFBP-1 levels correlated inversely with insulin levels (Spearman r = −0.60, p < 0.0001), reflecting known inhibition of IGFBP-1 gene expression by insulin. Insulin explained 36% of the variance in IGFBP-1 levels. IGFBP-1 levels were also correlated with obesity and diet. Levels of IGFBP-1 significantly predicted distant recurrence and death, hazard ratio (95% CI) for lower versus upper quartile 2.08 (1.20–3.61) and 3.0 (1.45–6.21), respectively. These effects persisted after adjustment for tumor-related variables and treatment but were not independent of insulin levels. High levels of IGFBP-3 predicted distant recurrence (hazard ratio upper v.s. lower quartile 1.8, 95% CI 1.1–3.0) but not death (hazard ratio 1.0, 95% CI 0.5–1.9). The effect on distant recurrence was restricted to postmenopausal women (hazard ratio 3.8, 95% CI 1.6–9.0) and to those with estrogen receptor positive tumors (p = 0.002). Prognostic effects of IGFBP-1 appear related to the known effect of insulin on IGFBP-1 gene expression. 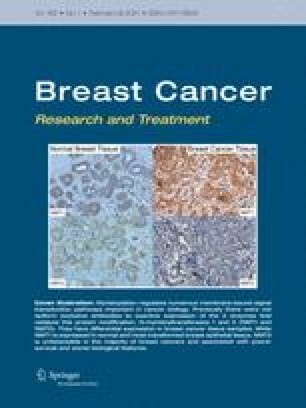 The adverse effect of IGFBP-3 on distant recurrence in postmenopausal women with estrogen receptor positive breast cancer should be further investigated.